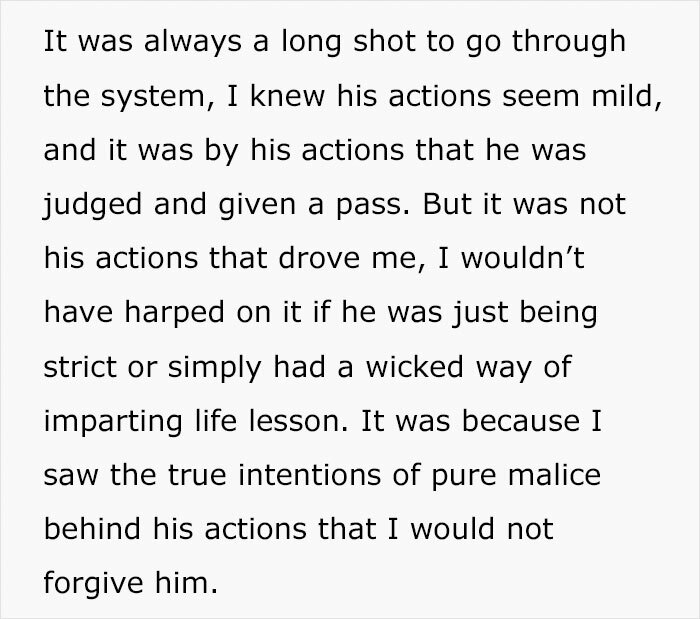 Revenge is never the right answer, and it’s always better to be the bigger person and turn the other cheek, but if you absolutely insist on getting your own back on somebody, at least make your revenge is proportionate to the wrong you’ve experienced. 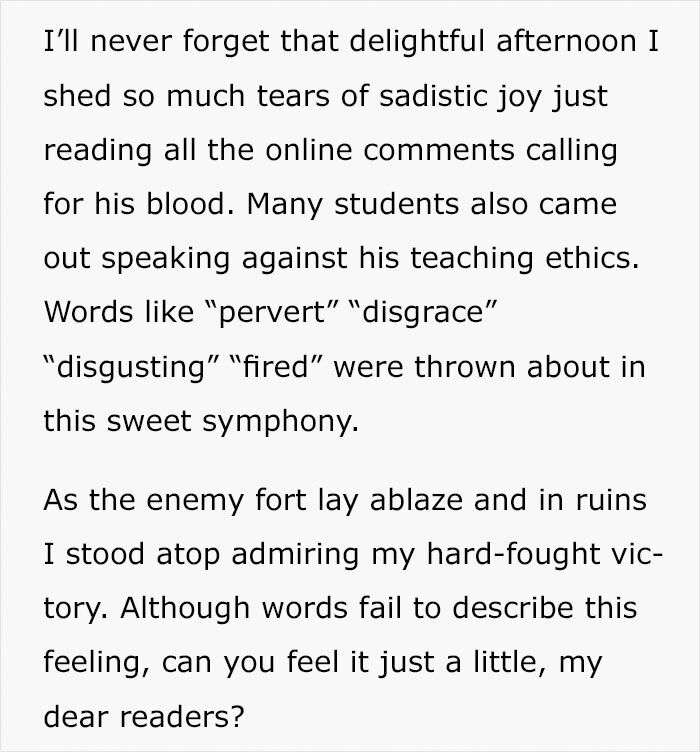 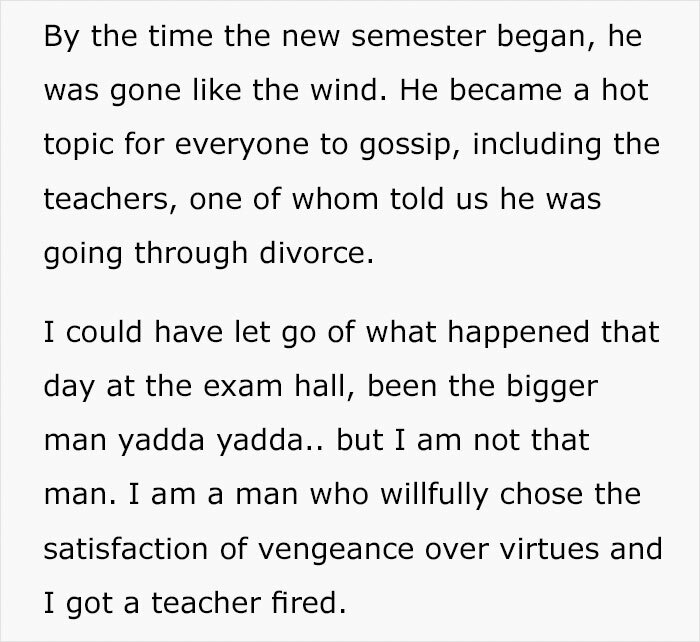 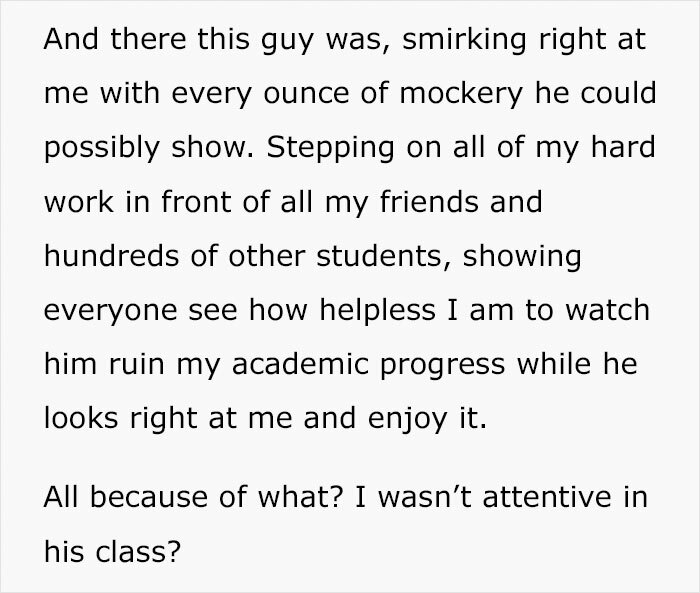 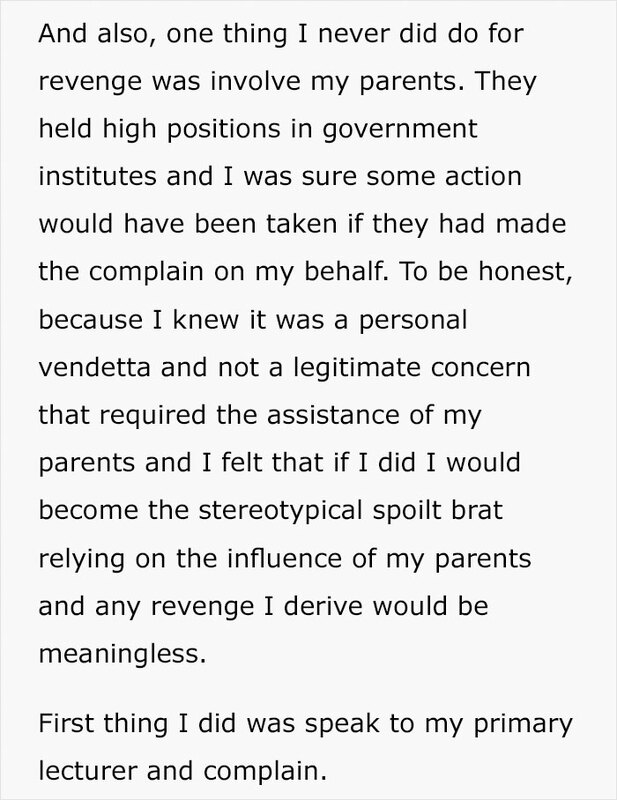 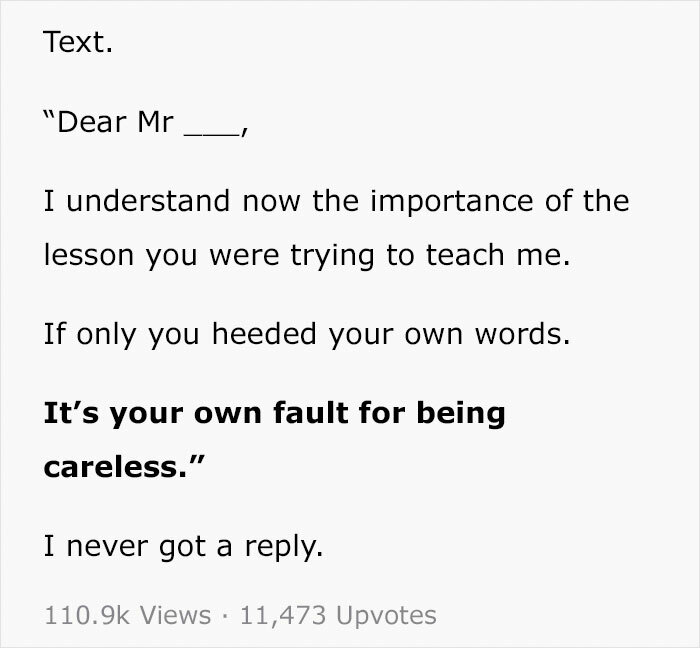 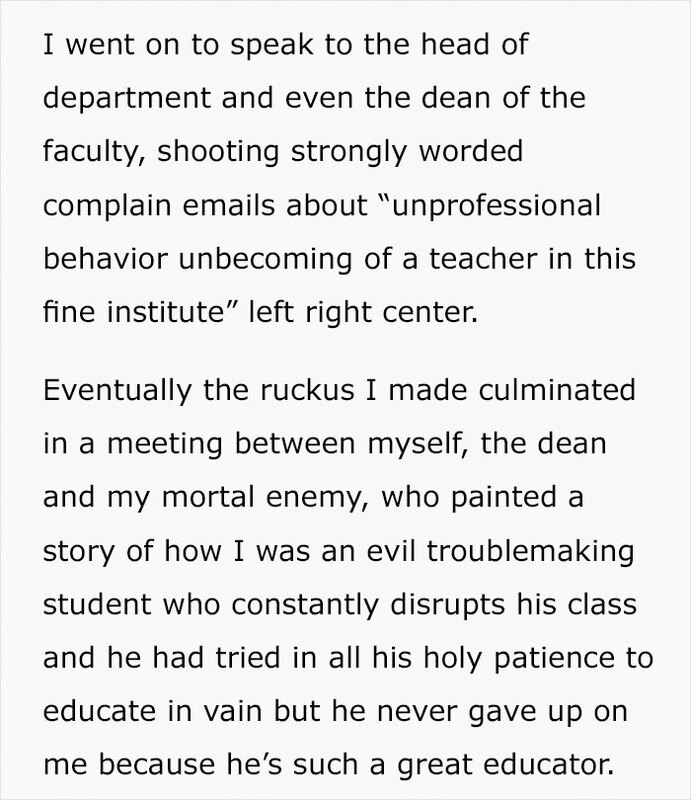 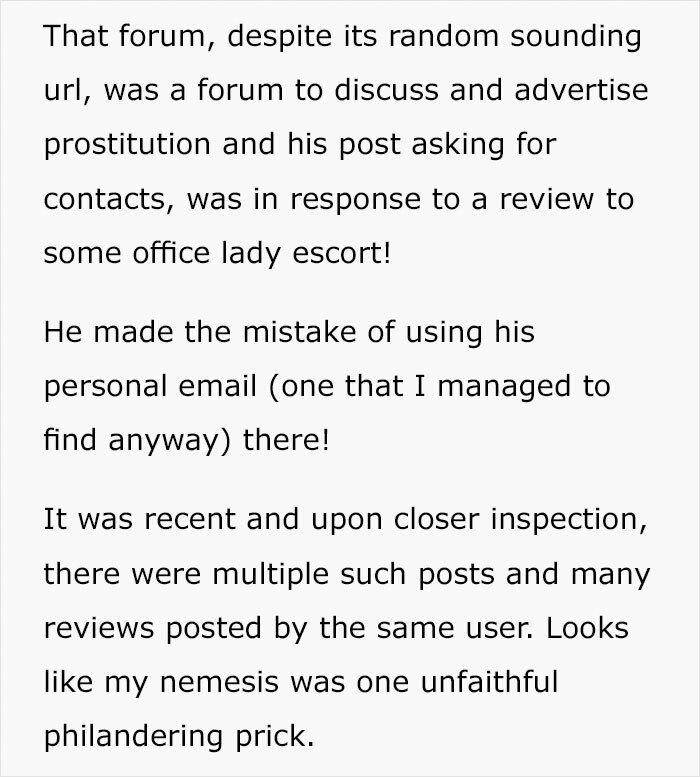 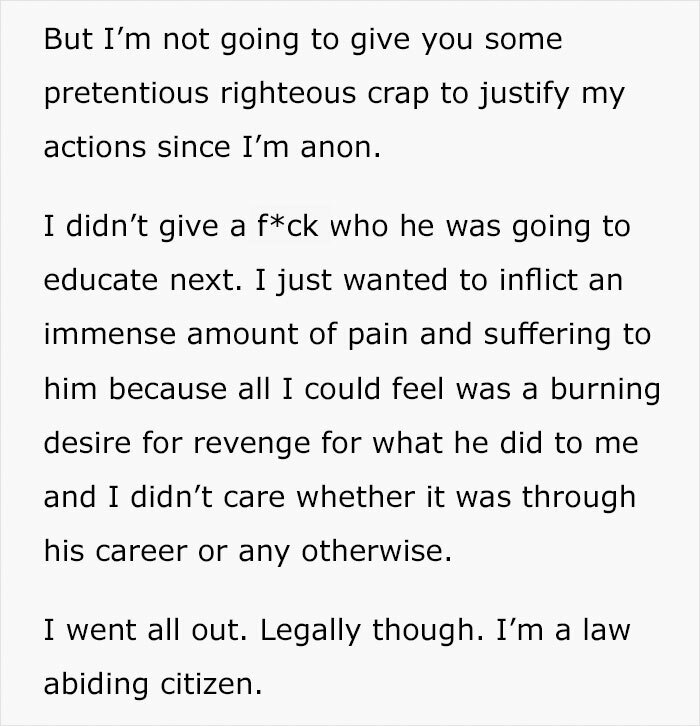 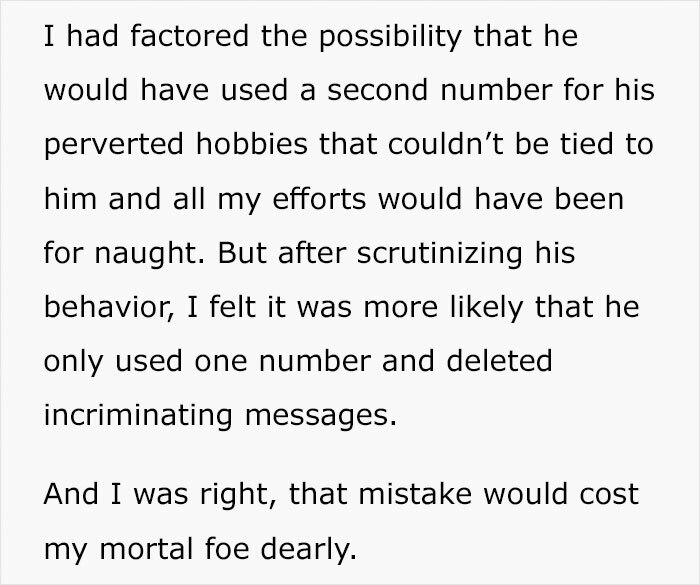 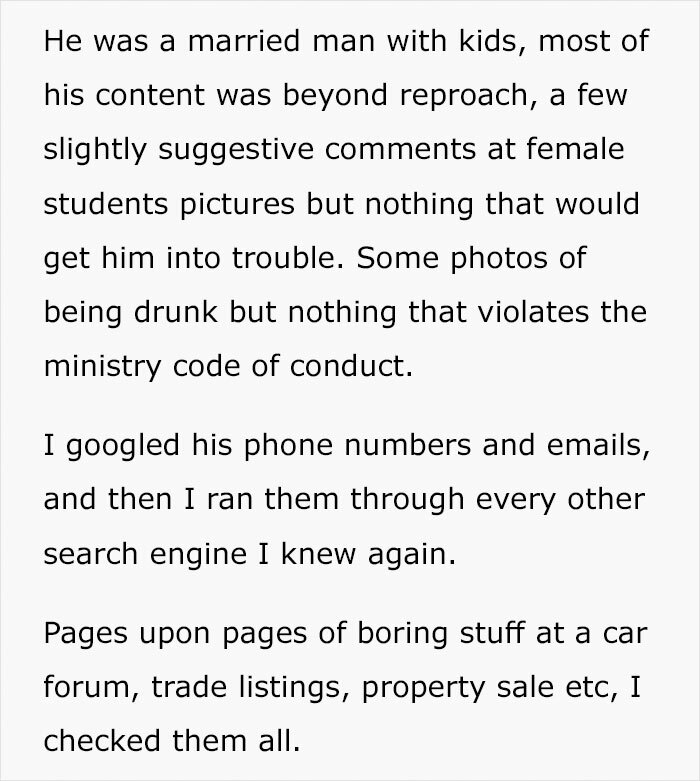 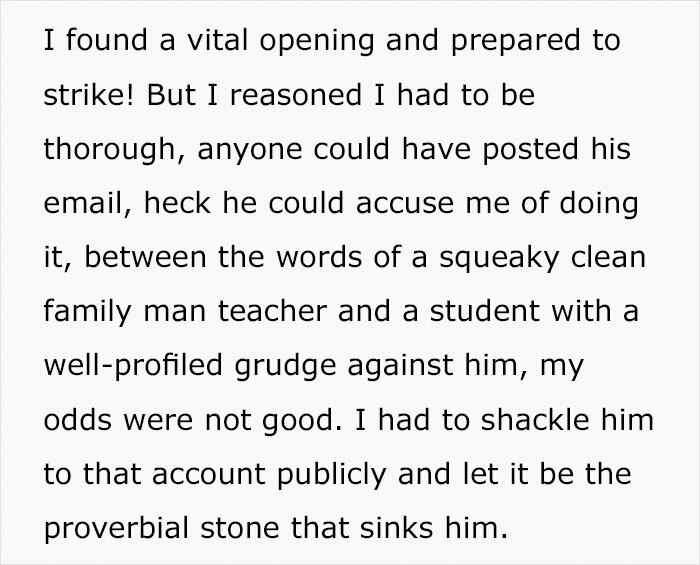 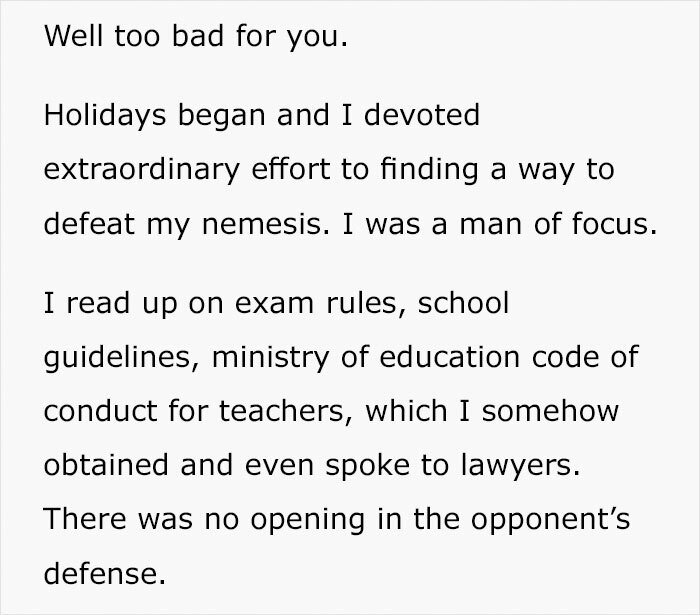 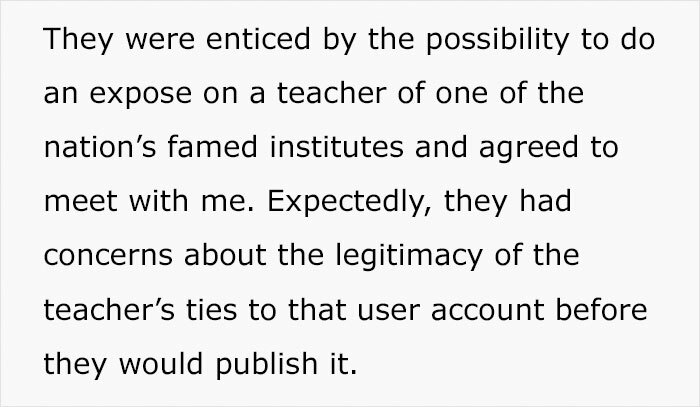 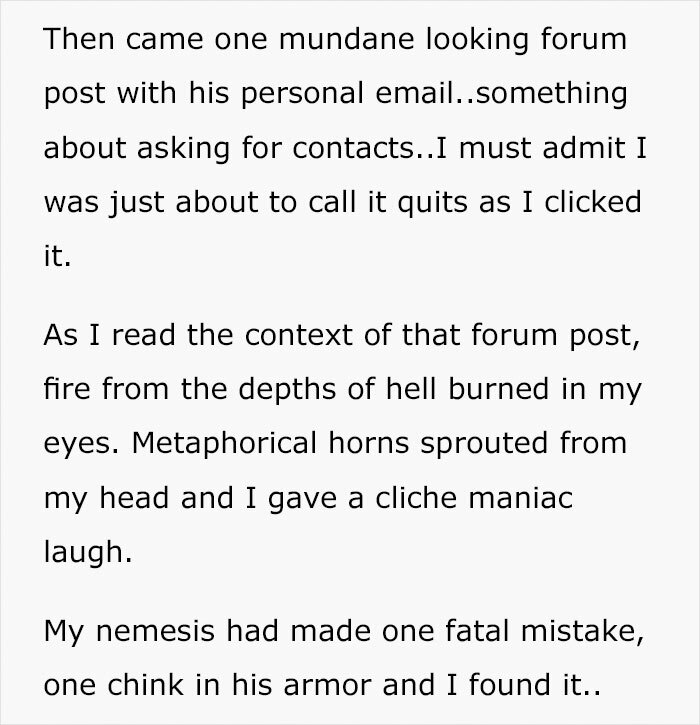 Take this story of retribution for example, which was recently posted on Quora in response to a question asking if anybody had ever been responsible for having a teacher fired. 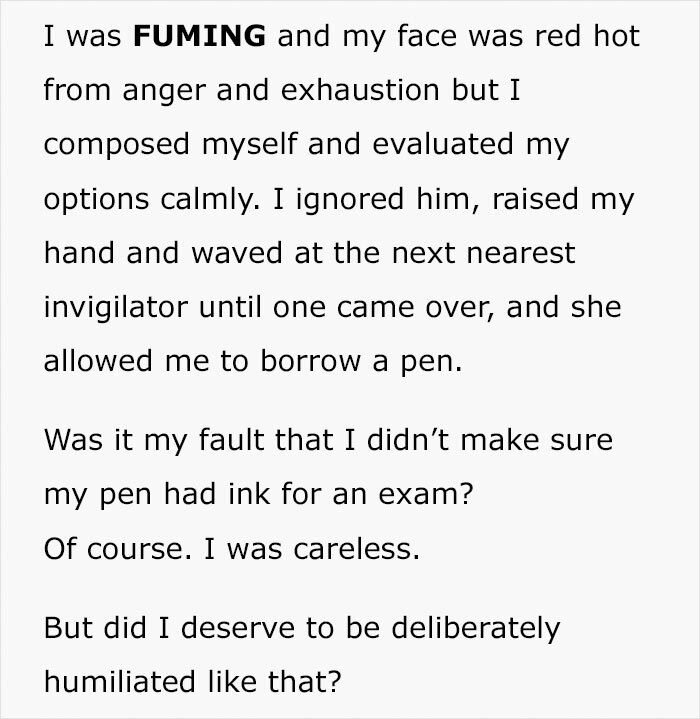 One student, having realized their pen was out of ink, asked to borrow one from their teacher right before an important exam. 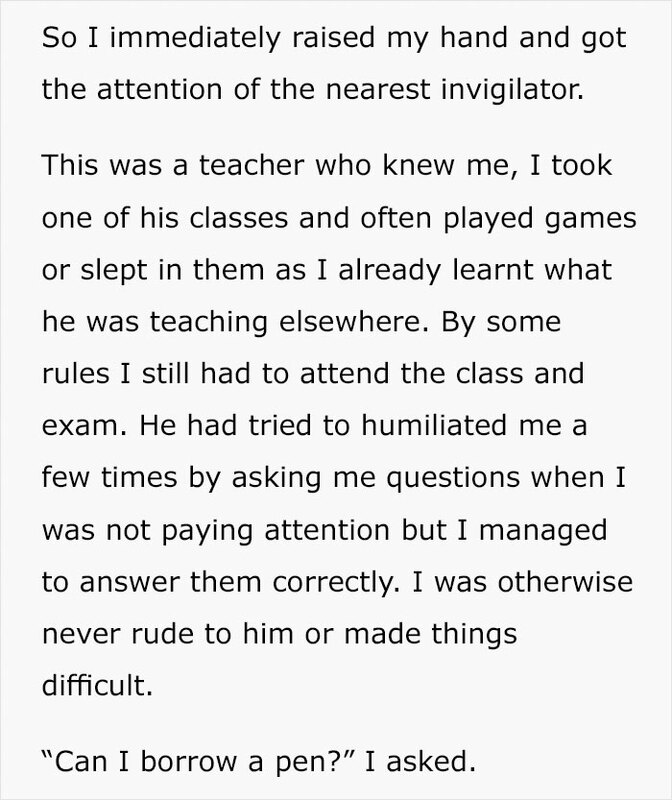 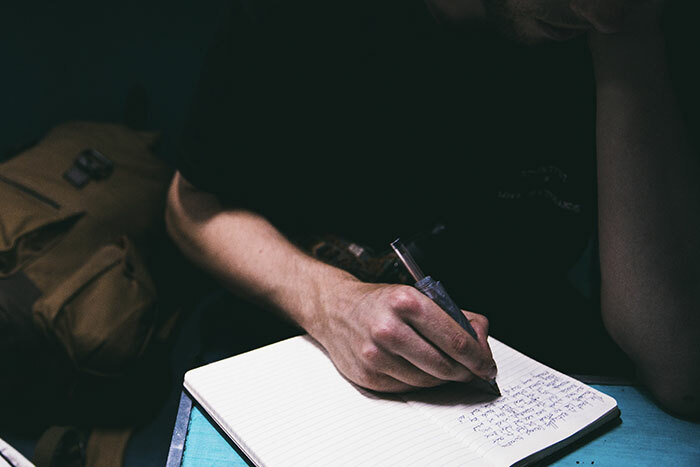 The teacher apparently refused to help the student, who then embarked upon a personal quest to ruin that person’s life, but did they go too far? 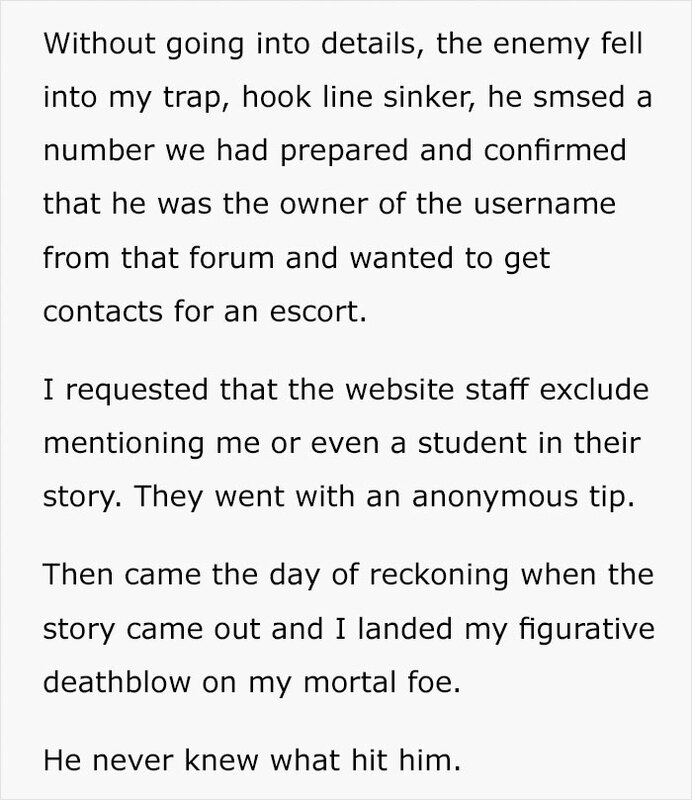 Read the story and let us know in the comments. 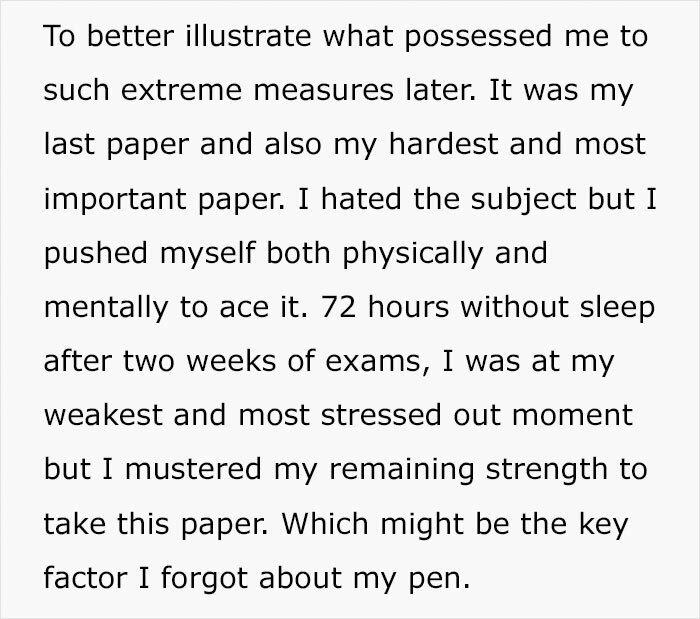 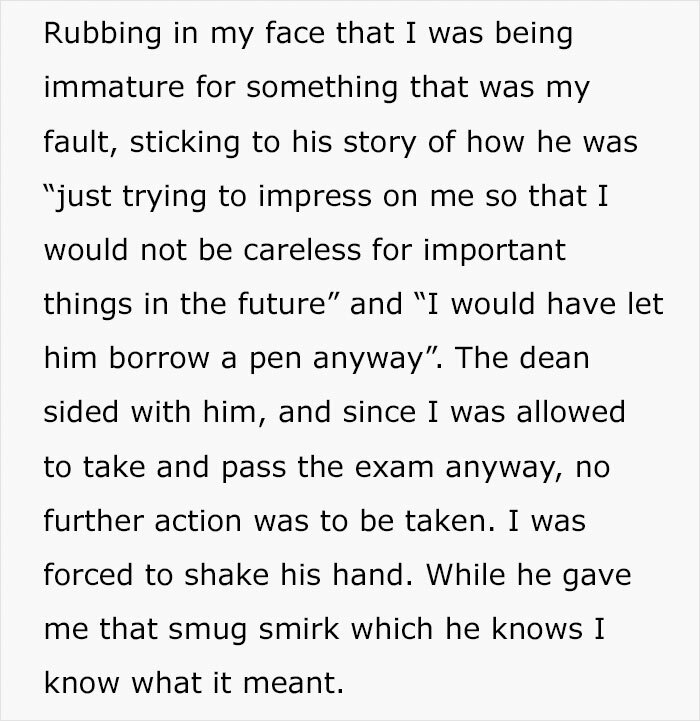 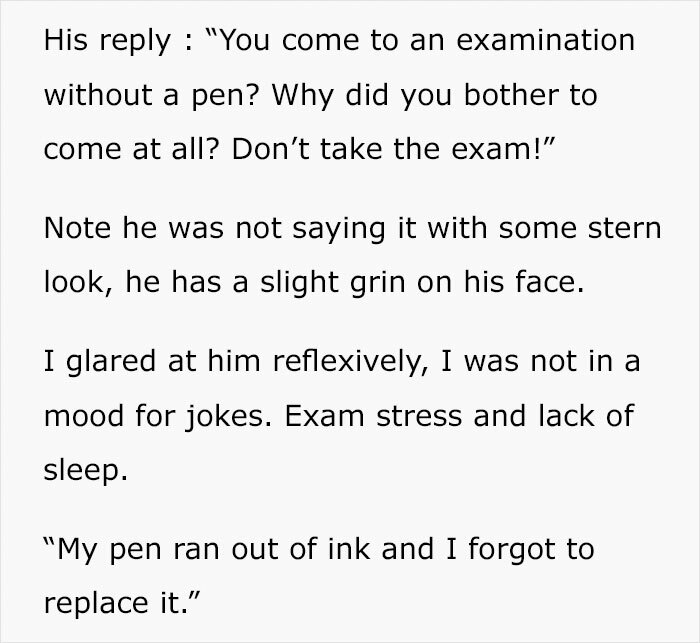 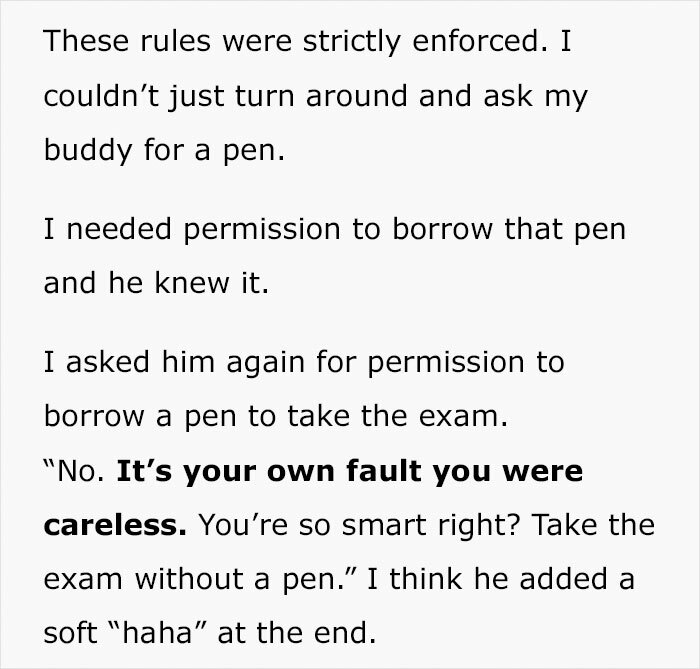 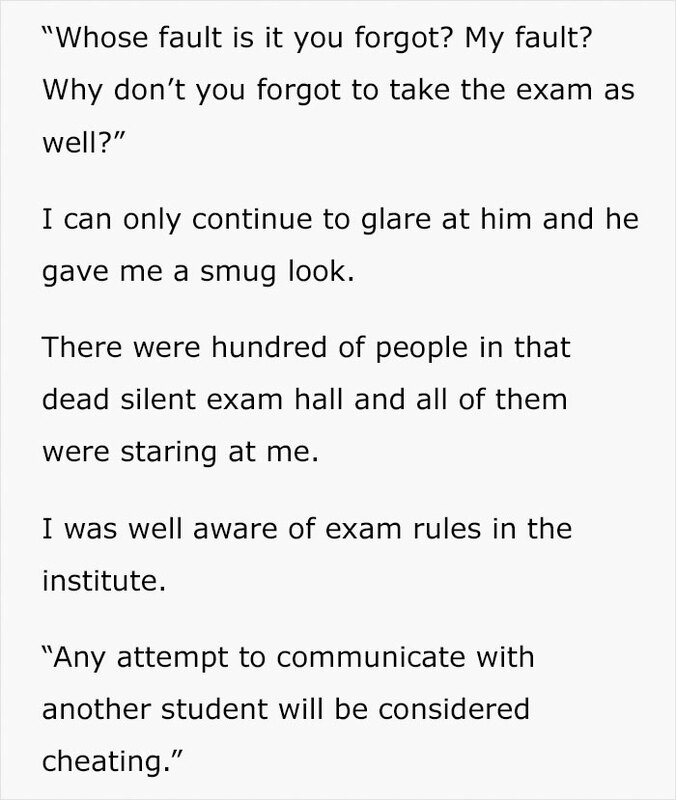 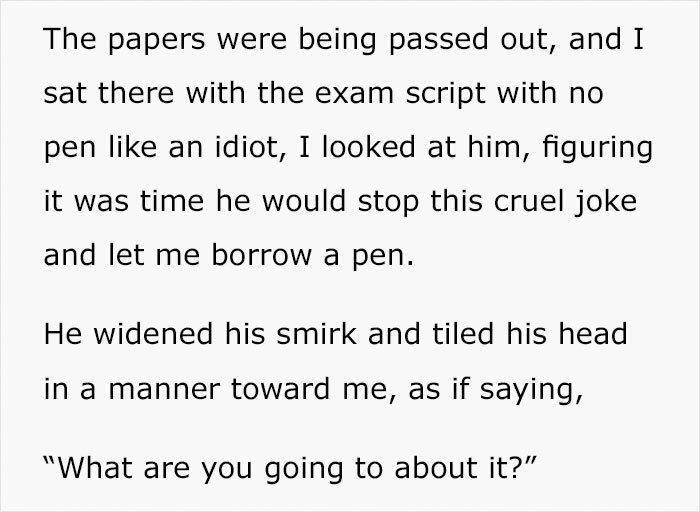 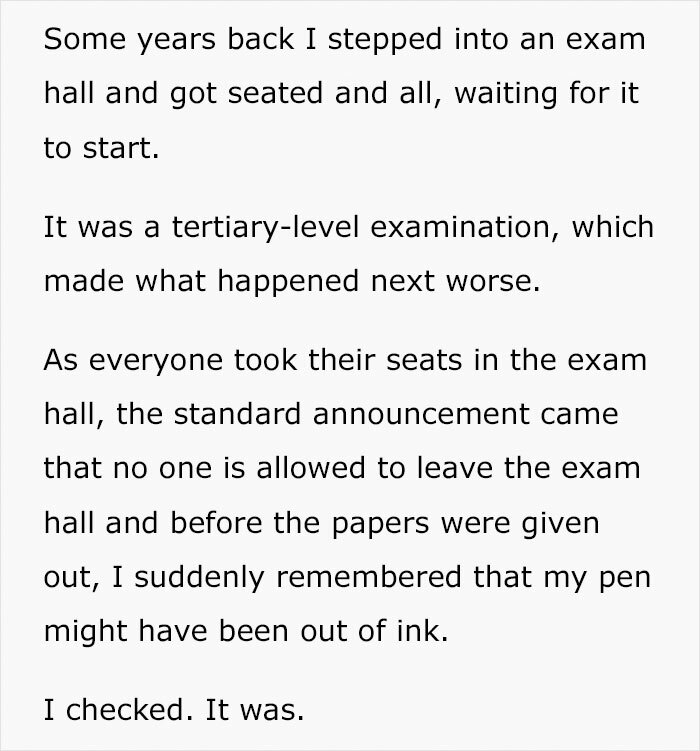 What would you do if a teacher refused to lend you a pen before an important exam? 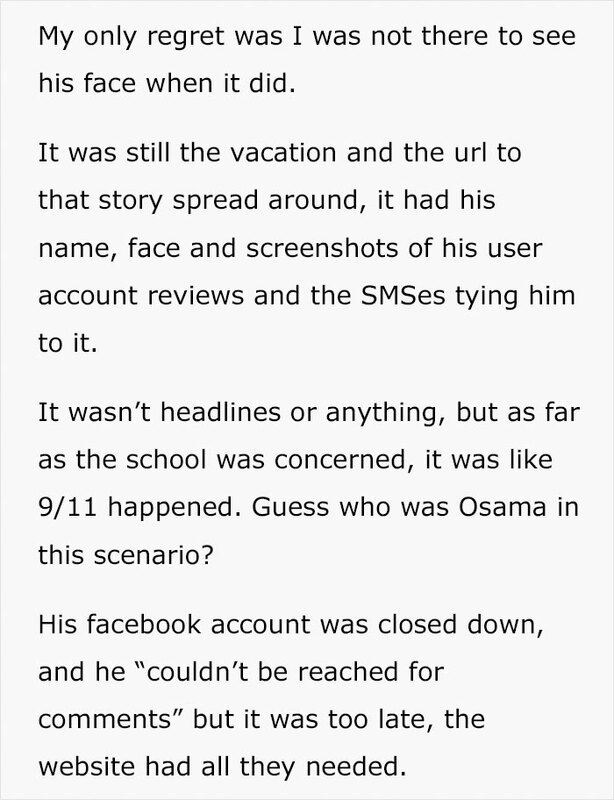 HYou mentioned the koran, so this article was written like a good islamic! 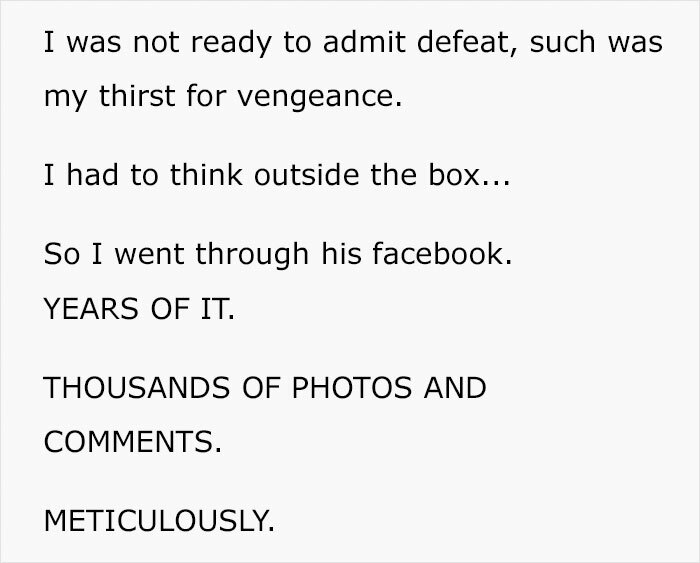 Get even, get revenge and destroy the person! 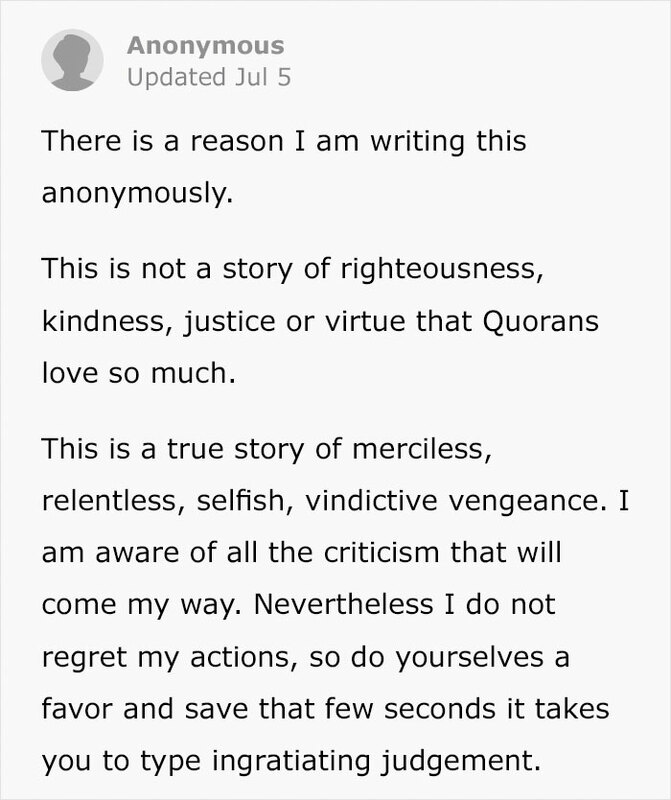 We, non-islamics, know that's the way islamics function.